A great title, fitting the loathsome opponents. Short Take: Lucas Giolito gave up five, the bullpen gave up three more, and the Sox couldn't catch up, losing 8-3 to the Addison Street Scourge. The proprietors of the biggest bro bar on Clark Street beat the Sox 8-3. A couple statements of fact to set the stage: the White Sox are pretty bad; the Cubs are pretty good. The outcome was no surprise, of course. The former Tribune meal ticket is in a fight to the finish with the Brewers for the NL Central title, while the White Sox are wondering if Yoan Moncada has a shot at the strikeout record. I know, I know -- this is but one of many pains we have to endure in homage to the Rebuild. 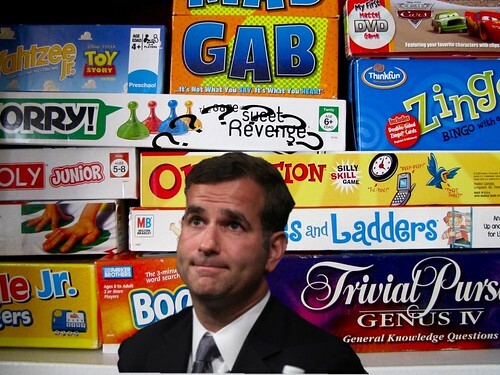 But even looking at Rick Hahn's rainbow, I can't abide losing to those blue-shirted poseurs. An anecdote from a Hall-of-Famer perfectly illustrates what I mean. George Brett was inducted into the Hall of Fame in 1999. In his acceptance speech, he thanked a host of people: his family, his teammates, his coaches, and especially his hitting coach, the late Charlie Lau. Brett said he had talked to Lau's son, who gave him a New York Yankee ring to wear. "Charlie, I can't do it," Brett said, "I don't like those Yankees, still." Mr. Brett, I can definitely relate: Epstein built a team and won a World Series, but I can't do it. I don't like those Cubs, still. Lucas Giolito started for the Sox tonight and pitched 6-2/3 innings, giving up five of those eight runs. He had five strikeouts, but gave up hits at the wrong time to the wrong people. A two-run homer in the first by Javier Baez set the tone. The Sox picked up a run in the their half of the first when Avi Garcia singled home Yolmer Sanchez, and tied it 2-2 in the third on Tim Anderson's solo shot. But in the fifth, Giolito gave up a string of hits that put the Ursa Minors in the lead 5-2, though he wasn't helped by Ryan LaMarre's misplayed fly ball that became a double. In the bottom of that frame, Matt Davidson singled home Tim Anderson to make it 5-3. Still within reach, or so we thought. Opportunities knocked in the next couple innings, but the Sox couldn't answer the door. In the ninth, Rob Scahill (who?) replaced Ian Hamilton on the mound and was responsible for three runs scored by the Clark Street darlings. That set the score at 8-3, where it would stay. Interleague play has been going on for 20 years, and in the early years the Cubs-Sox series generated buzz. But tonight the only buzz was among the overserved Chads and Trixies as they rode the Red Line back to their North Side lairs. This was just another game, important to the National League as it determines its division champs, and important to the Sox as they demonstrate to the world how much a team needs a decent bullpen. Fun Da Mentalz: Just standing by waiting for Cease and Jiminez to be in the lineup the next time little bears come to visit. 2-for-4 tonight with an RBI. It's not much, but we can't be choosy.